You Asked Us: Which watch, Tudor Black Bay Fifty Eight or Sinn EZM 13? You Asked Us: Tudor Black Bay Fifty-Eight or Sinn EZM 13? This week we’re handling another question aiming at our advise to choose a watch. Which, as always, is a pretty personal thing and thus difficult to answer. We’ll try to read the question carefully, between the lines as well, and answer according to facts as much as possible. 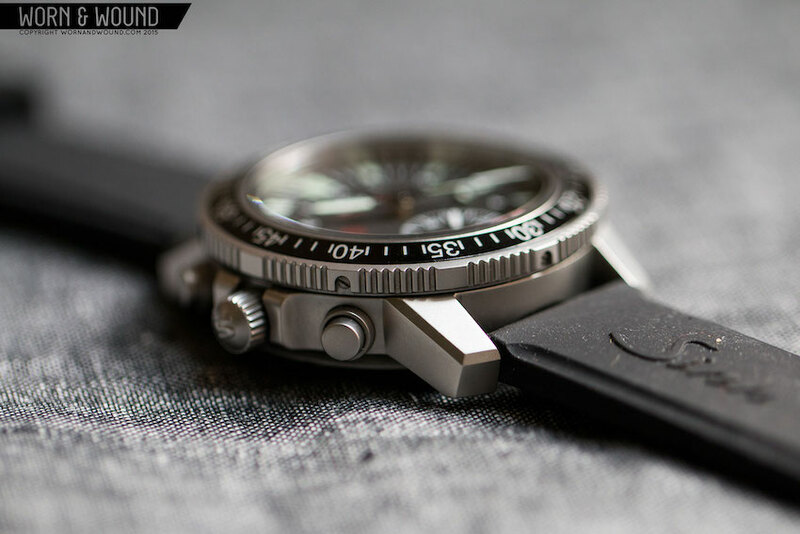 Which watch to choose, the Tudor Black Bay Fifty-Eight or the Sinn EZM 13? You Asked Us: Which Watch to Buy, the Tudor Black Bay Fifty-Eight or Sinn EZM13? I am looking for a watch in the 2500-3500$ range. I need something with a relatively small case size, leaving a lot of cool options out of the mix. 38-41mm case size, and max of 46-47 lug-to-lug. More specifically I have been looking at Y. I find them very attractive, but of course, they are quite different from another. The Tudor is probably more versatile. I like the look of it, and the size is perfect. I do not like the slab case side, but this 58 is slimmer than the previous versions of the BB so I guess it will not be that noticeable? 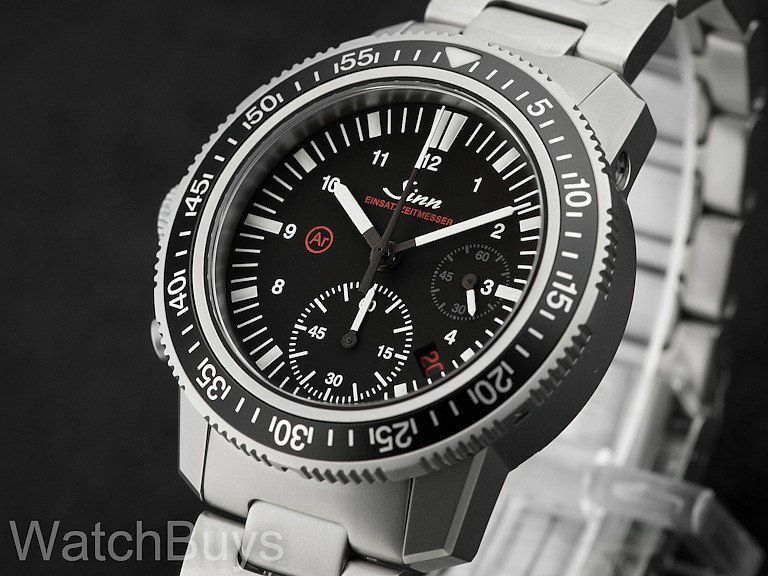 I love the tool-look of the Sinn. The case size is somewhat bigger, but at 41mm and 47mm lug-to-lug it is still acceptable. I am slightly concerned about the thickness of 15mm, but for a chronograph, this is what to expect I guess. But it is just so annoying that they do not offer this watch on an integrated silicone strap, as they do for most of their watches. Which one should I go for? Which one do you think offer the most for the money? Any concerns or preferences when it comes to brand or movements? (EZM13 uses a modified 7750 while BB58 uses a new in-house Tudor movement). Any other watches you would recommend instead? What exactly is Knut looking for? After reading the question an impression of wearability remains in my mind. Even before comparing any technical specifications or looking at images of the mentioned watches. The phrase ‘relatively small case size’ and mentioning such specific notes of sizes of the watch makes me think the watch in the first place should be comfortable to wear. Secondly, I notice that Knut is looking at two very different watches. 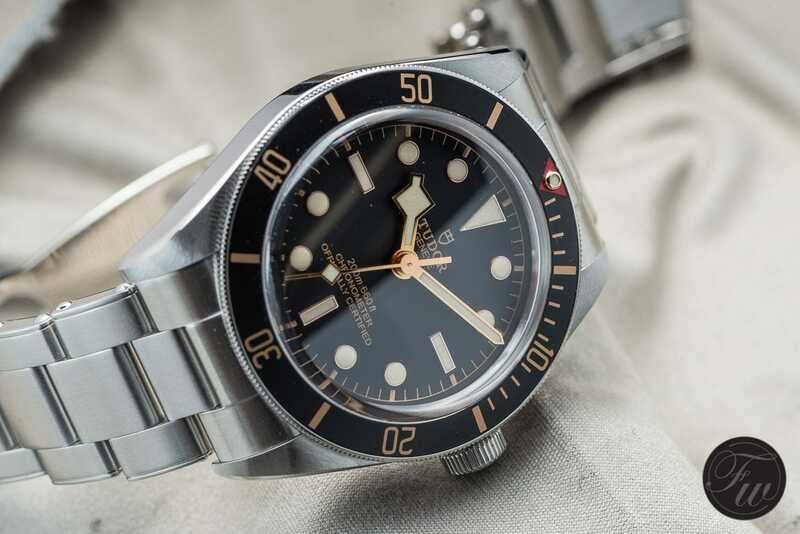 The Tudor Black Bay Fifty-Eight (we did a review here) is a rather vintage looking time-only watch which even doesn’t have a date indication. The Sinn EZM 13, on the other hand, is a modern-style, much more complex chronograph. As the style of a watch is too personal to say anything about anyhow, I won’t let me distract too much by that. What influences the wearing comfort of a watch? Of course, that’s certainly the size of it, but as well the general impression a watch gives. Besides the size, the shape is important, however, absolutely the dial as well. The dial isn’t determining how the watch physically feels on your wrist, but how it feels when looking at it or seeing it in a glance. Attracting a lot of attention will make it a more busy watch. So we have size, shape, and visual appearance. Where a larger size will be less comfortable, a bulky shape with strong straight edges will be less comfortable, and a busy dial with lot’s of contrast can be seen as less comfortable as well. 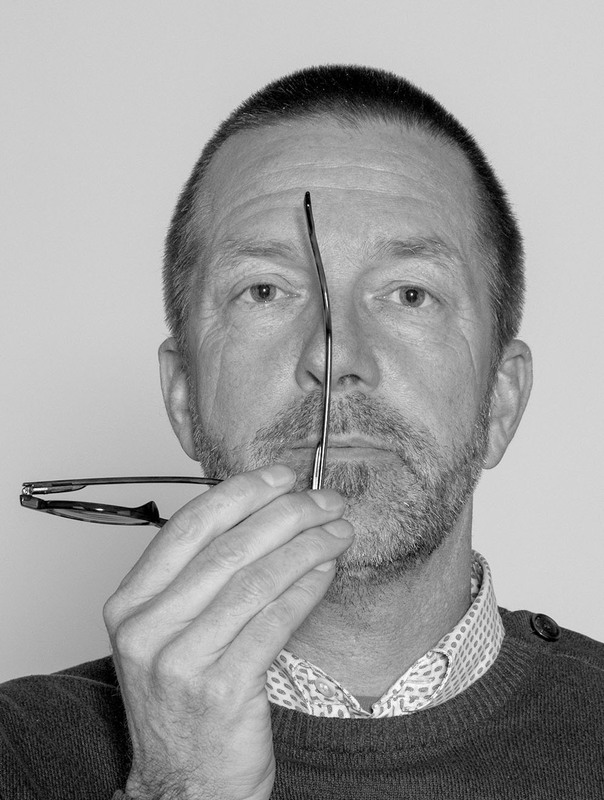 Bearing in mind Knut’s need for ‘something with a relatively small case size‘. Even if Knut indicates about the Sinn ‘41mm and 47mm lug-to-lug it is still acceptable‘ I wouldn’t say that the Sinn EZM 13 has a relatively small case. And that’s probably very much because of the shape of it. It’s very cylindrical tuna-can-shaped. Very adequate for a tool watch, but with these sizes, shape and 15mm height it’s just a bulky watch. Our friends over at Worn & Wound even talk about it as aggressive and chunky. The Tudor Black Bay Fifty-Eight in this light is a much more elegant watch. It can even be said to be slim, at least for a watch with a sporty heritage like this. The size of 39 mm to me as well can be seen as more or less perfect. It is smaller than former Black Bay models indeed, and as Kut mentions himself, the straight case side is slimmer than previous versions. While the Sinn EZM 13 is exactly shaped the way a tool watch should be, the shape and size of the Tudor make it much more a general purpose watch. In the end, I don’t think it’s a good idea to chose a watch solely on its theoretical dimensions. A technical larger watch can fit your wrist better than a smaller one with a different shape. With less information in the dial, not having the chronograph functions, the appearance of the Tudor is rather modest. While the Sinn adequately shows extremely high contrast with its white print on a deep matt black dial, the gold details on the egg-shell finished black dial of the Tudor gives a way softer feeling. The Tudor even lacks a date function, which certainly adds to the tranquillity and symmetry in the dial. To me, when one is not specifically looking for a functional tool-ish chronograph, the Tudor would be a better choice as a daily wearer. Specifically the height of the Sinn EZM 13 could even make it impossible to wear it with a shirt for instance, at least under the sleeve. Both watches are available on a leather strap (the Sinn even on a variety of leather straps) as well as on a stainless steel bracelet. Additionally, Sinn offers a black silicone rubber strap, and Tudor a color-matching black and gold fabric NATO-type strap. Both metal bracelets do match the type of watch very well. Sinn uses their more or less standard heavy linked model bracelet, while Tudor supplies a beautiful re-edition of their vintage rivetted steel bracelet. I can imagine that the stainless steel bracelet would benefit the Sinn most. 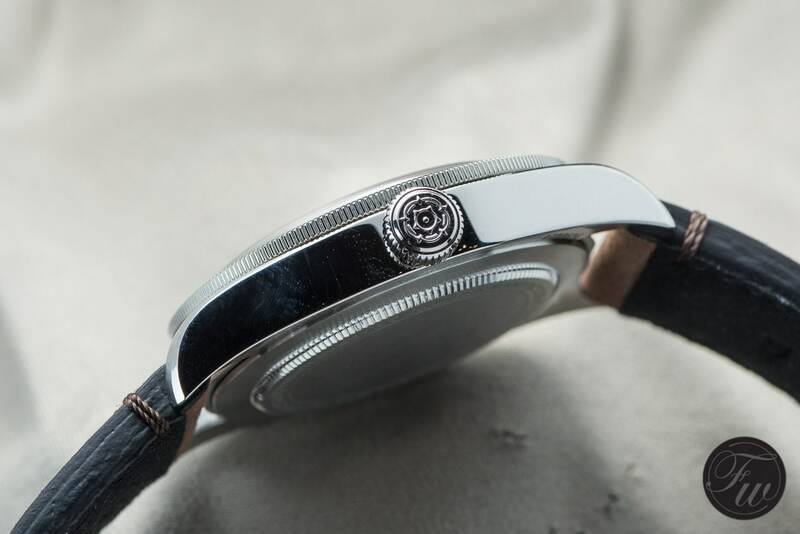 With almost 100 grams the watch’ head is relatively heavy and probably would stick better in place on your wrist with a metal bracelet than it would with a leather strap. Kurt mentions that Sinn seems not to offer an integrated silicone bracelet. Looking at the website that’s the case indeed. However, in the past, I’ve seen that with little help it might be that an integrated silicone strap meant for another model could fit with only a little help. If this lack of integrated silicon bracelet would be a deal breaker I’d certainly contact Sinn about it. 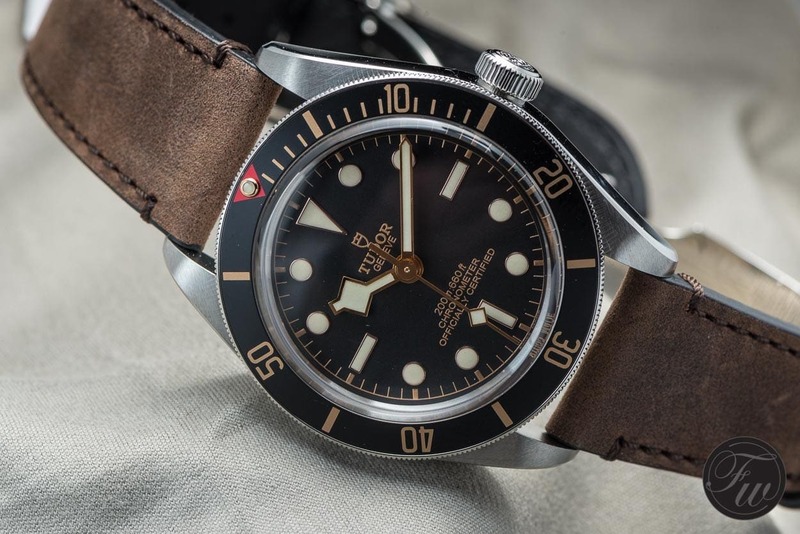 The Tudor Black Bay Fifty-Eight would do good on both the matching metal bracelet or the leather strap in my opinion. While I’m not such a great fan or regular NATO-type straps, the Tudor NATO-strap here is an exception. It doesn’t just fold under the watch but it’s fixed with spring bars. Obviously, there’s quite a difference between the two movements. 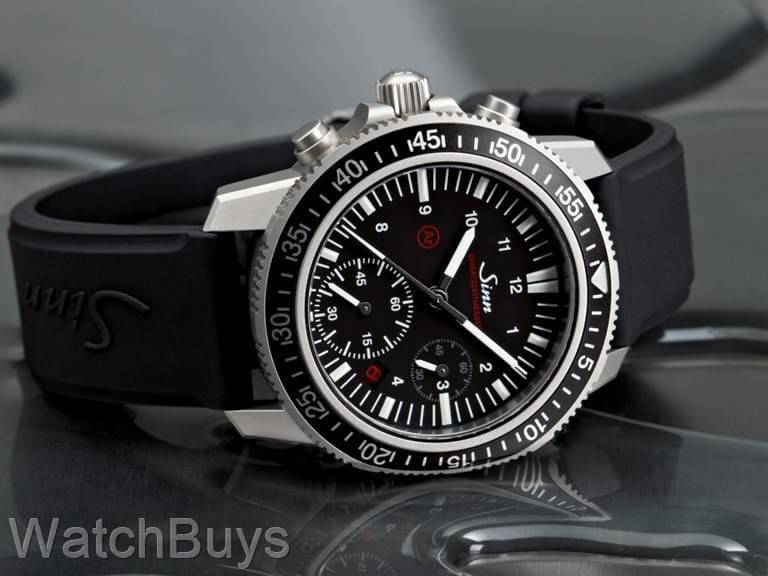 Sinn uses a relatively special chronograph caliber for this model, Sinn caliber SZ02. Derived from the trustworthy ETA/Valjoux 7750, Sinn modified the movement to have a 60-second scale for the stopwatch minute, instead of the regular 30 minute counter. There are two other things to note about the Sinn. First that the watch is a ‘lefty’, meaning that the crown and pushers are on the left side of the casing. While the crown perks out substantially with the shape of this watch, this way it won’t dive into your wrist. 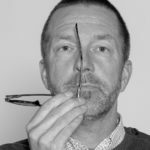 And secondly, I would like to mention here that the movement operates in a nearly dry atmosphere thanks to protective gas filling and the use of a drying capsule. This will enhance the life of the lubricants, however, might make it more difficult to have the watch serviced at just any watchmaker. 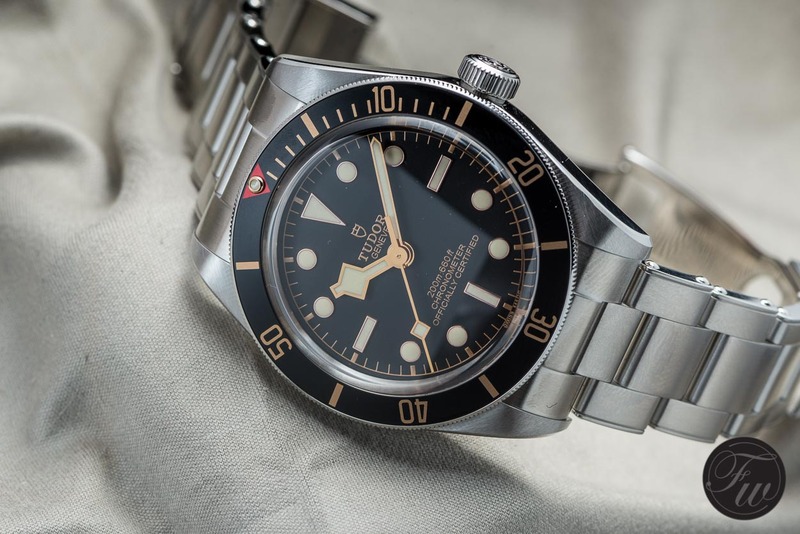 Tudor uses their new in-house caliber MT5402 in the Black Bay Fifty-Eight. Specially designed with medium-sized watches in mind, hence the smaller diameter of this Black Bay compared to former models. The caliber MT5402 is 26 mm in diameter and, as said, only displays hour, minute and seconds. It’s said to be constructed to ensure robustness, longevity, and reliability. Its variable inertia balance, for instance, is maintained by a sturdy traversing bridge with a two-point fixation. The MT5402 features a 70-hour power reserve and is COSC chronometer certified. In no way, we should think of these watches in terms of one being better than the other. In fact, they’re way too different to compare directly, in a technical sense. They both have their advantages. So, personal preferences or what one expects from a watch will determine which watch would be the choice. Seen the nature of Knut’s question, I think that in this case the Tudor Black Bay Fifty-Eight would fit better into his current requirements. What else could we suggest? That’s not even half as easy as it might look. Around $ 2,500.= – $ 3,500.= (let’s say max € 3.000,=) is a crowded segment. However, the two watches Knut has chosen are miles and miles apart in my opinion. Let’s say we could suggest almost any watch in that price range. But let’s try to narrow it somewhat down. Both watches have automatic movements, and both watches are dive watches. Both watches are made of stainless steel. Both have a sapphire crystal, and both watches have a black dial. More information on the Sinn EZM 13 can be found on www.sinn.de, and more information on the Tudor Black Bay Fifty Eight on www.tudorwatch.com. Do you have a question for us as well?